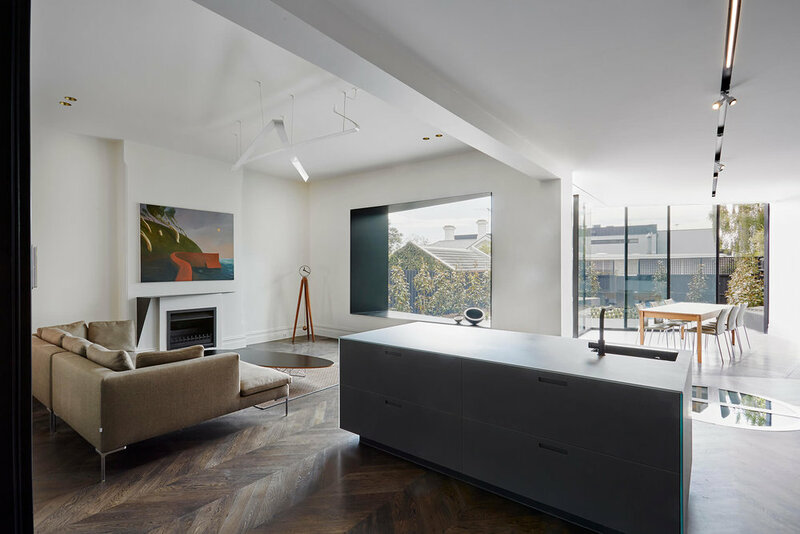 Renovation of a double story Victorian terrace with the creation of a double story courtyard to the centre of the house. Full height continuous glazed panels provide light and visual connection to the internal spaces. 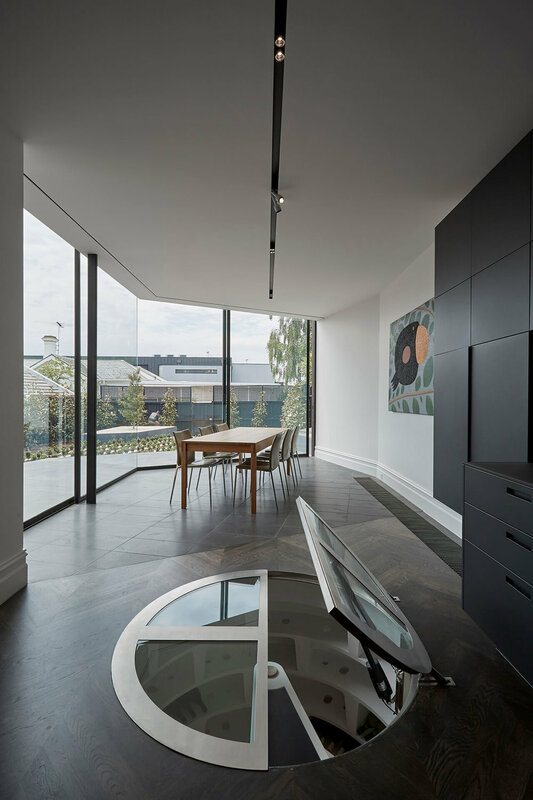 A new dining area to the rear connects the garden to its landscape, expansive glass sliding panels open up to the rear terrace. Central to the living area is a large steel framed window seat, angled to connect the living and dining space and at grand scale to frame the landscape beyond. 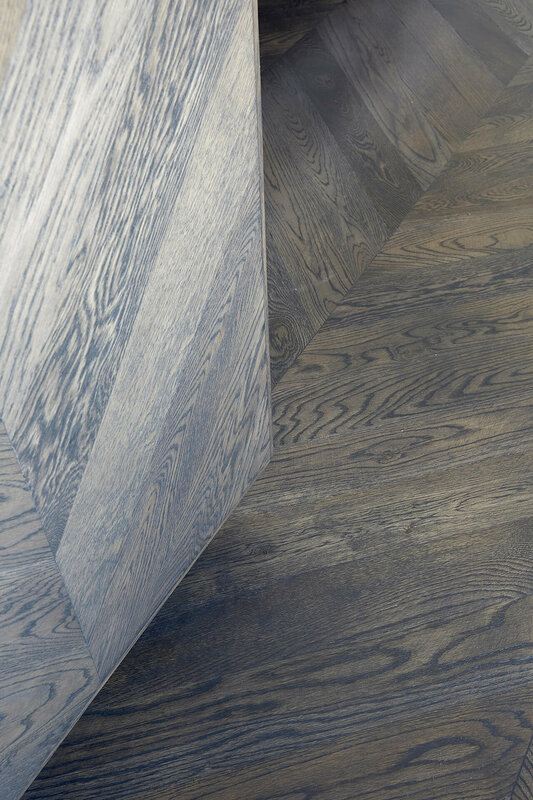 A minimal palette of stained oak parquetry, local blue stone and dark mirrors unify the internal spaces.